In a scenario repeating from the previous day, all games of the 11th round of the FIDE Grand Prix in Tbilisi were drawn. The Grand Prix was officially closed with a nice ceremony at the historic Tbilisi Sakrebulo (City Council). Mahir Mamedov, General Director of Socar Energy Georgia, the tournament sponsor, presented the winner Evgeny Tomashevsky with the cheque of 20,000 EUR. Tomashevsky Evgeny 2716 – Radjabov Teimour 2731 ? – ? Jobava Baadur 2696 – Andreikin Dmitry 2737 ? – ? Jakovenko Dmitry 2733 – Kasimdzhanov Rustam 2705 ? – ? Grischuk Alexander 2810 – Vachier-Lagrave Maxime 2775 ? – ? Mamedyarov Shakhriyar 2759 – Svidler Peter 2739 ? – ? Giri Anish 2797 – Dominguez Perez Leinier 2726 ? – ? 2. Jakovenko Dmitry 2733 RUS – 6? 4-7. 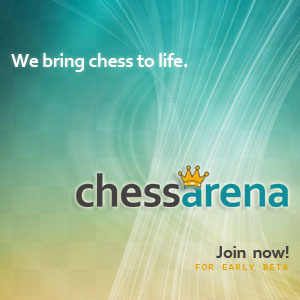 Kasimdzhanov Rustam 2705 UZB, Dominguez Perez Leinier 2726 CUB, Giri Anish 2797 NED and Mamedyarov Shakhriyar 2759 AZE – 5? 11. Svidler Peter 2739 RUS – 4?